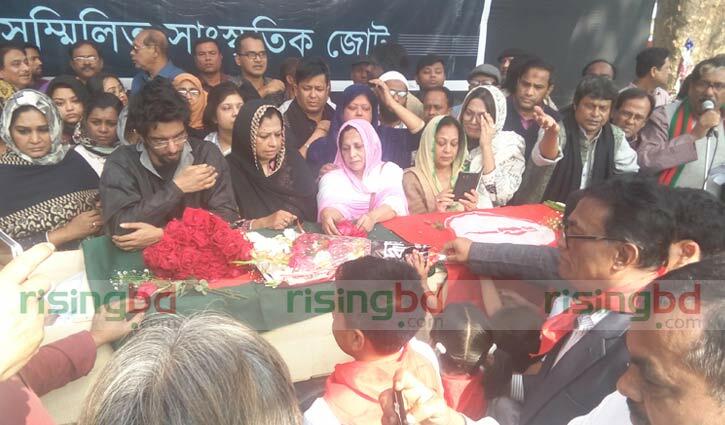 Entertainment Correspondent: Hundreds of people from all walks of life paid a final farewell to legendary musician and freedom fighter Ahmed Imtiaz Bulbul at Central Shaheed Minar on Wednesday. 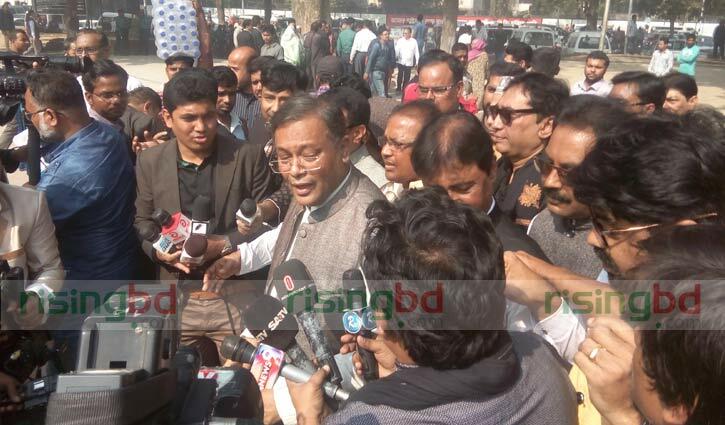 Bulbul was given a guard of honour after the body of the eminent musician was taken to the premises of Shaheed Minar around 10:45am. Later, Information Minister Hassan Mahmud and Awami League’s joint general secretary Mahbub Ul Alam Hanif paid tributes with wreaths to the legendary musician on behalf of the ruling party. Besides, Golam Kuddus, president of Sammilito Sangskritik Jote, a platform of cultural organisations, Singer Monir Khan, Andrew Kishore, Sabina Yeasmin, Runa Laila, Kumar Biswajit, among others, converged there. Noted lyricist, composer, music director and freedom fighter Ahmed Imtiaz Bulbul passed away in Dhaka in the early hours of Tuesday (January 22, 2019) at the age of 63.